For first-time competitive fitness champ Nicole Quail, what she puts into her stomach, is just as vital, as keeping that stomach from ever sticking out, even an inch. Seems basic, but it wasn’t always that way. 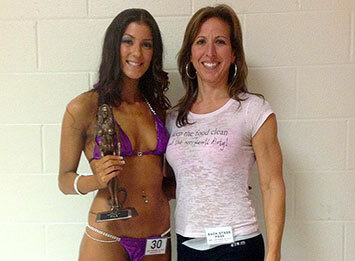 Not until she clicked up local competitive trophy winner and personal trainer herself, Linda Stephens, of Linda Stephens Fitness, run out of her Bailey Avenue gym.